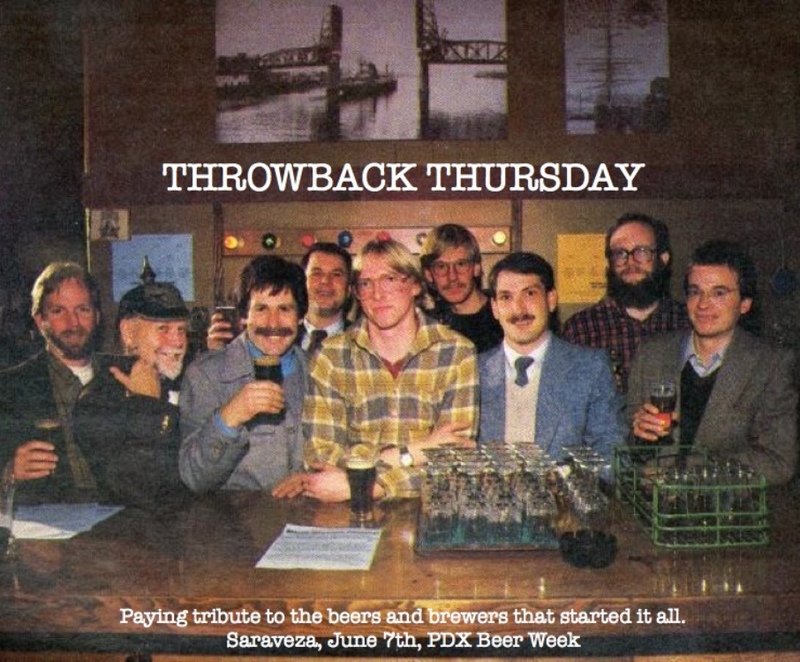 To kick off 2018's Portland Beer Week we're taking your tastebuds back to the beers that got you hooked with Throwback Thursday. We all have that memory of our first sip of craft beer and how it changed our drinking trajectory. Whether it was a hot summer day having your first pint of lemon wedge garnished Widmer Hefeweizen or your first brown bottle of Bridgeport IPA where you discovered that hop bitterness and a balanced malt presence was your new thing. From left to right: Steve Harrison, Sierra Nevada; Fred Eckhardt beer columnist; Fred Baumen, Portland Brewing Company; Paul Shipman, Independent Brewing Co.; Karl Ockert, Columbia River Brewery (later re-named Bridgeport Brewing); Tom Baune, Hart Brewing Co.; Jim Temple, General Brewing Co.; Mike McMenamin, McMenamin's; and Kurt Widmer, Widmer Brothers Brewing. Those beers are still here and still as tasty as you remember. 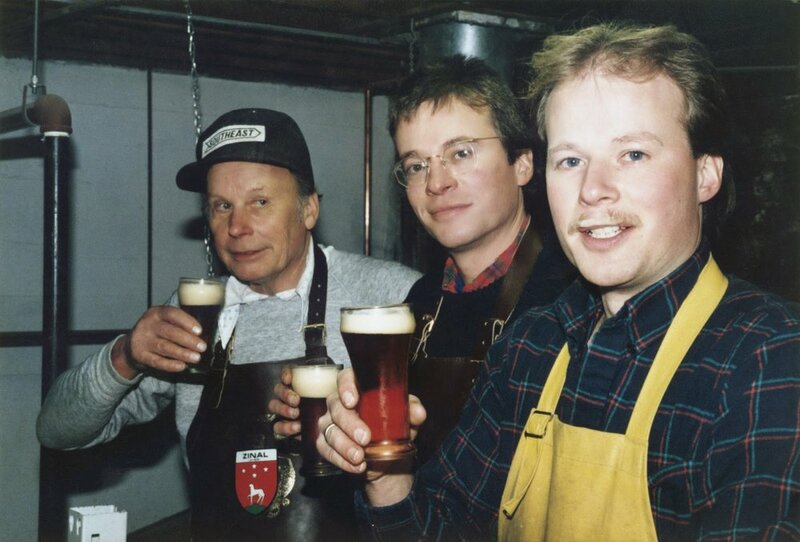 In this frenetic world of weekly can releases and bi-monthly brewery openings it's important for us to pay homage to the pioneers that started it all. Come down, throw a couple back, and bask in the nostalgia. We'll have all 10 taps pouring the classics all day. We'll be charging throwback prices to boot! Full list TBD.